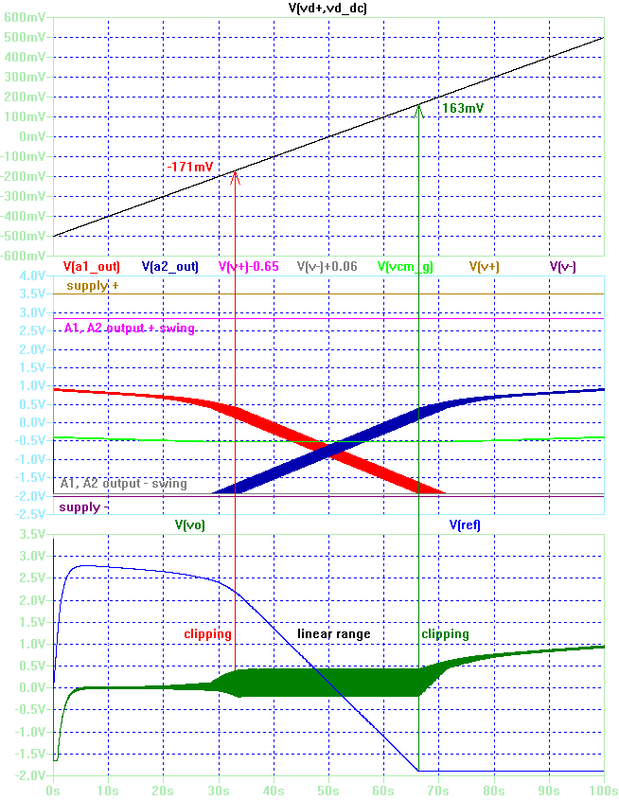 The SPICE Simulations are done with the excellent freeware LTSPICE . is measured from DRL to both inputs. 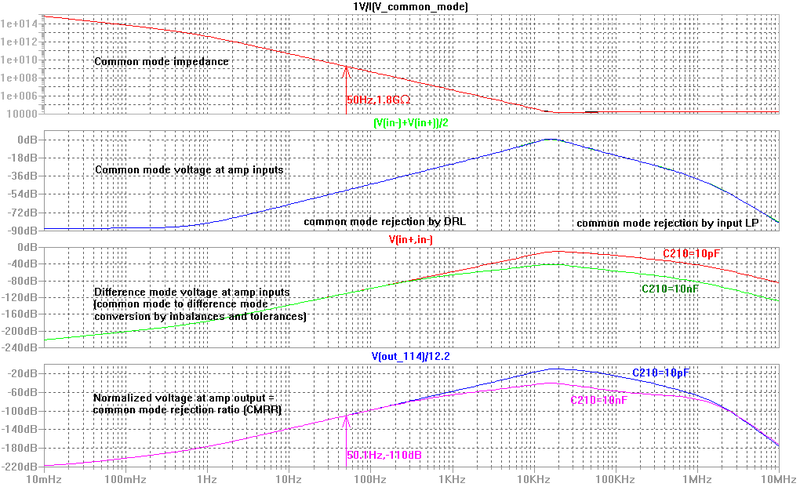 The graph also shows the CMRR over frequency. with a superbeta bipolar input stage. gain (70kHz at G = 100). seen reference integrator (e.g. in INA118 datasheet FIGURE 6. 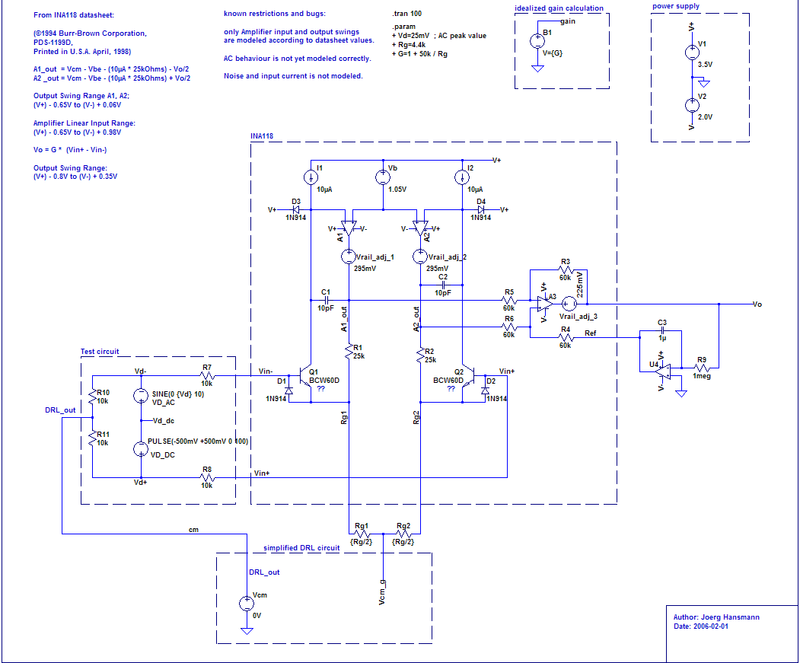 C-R highpass in possible input and output voltage swing. is clipping the signal and works no more linear as required in EEG applications.